Thomas Nelson, 2012. 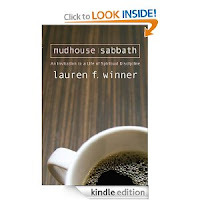 Available as a Kindle book. 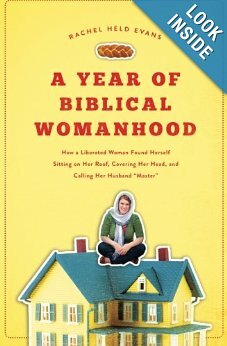 Rachel Held Evans is not afraid to ask the most controversial questions and I often read her blog. The most current one is on Responding to Homophobia in the Christian Community. John Green's The Fault in Our Stars. Ellis, Peter F.: The Genius of John. A composition-critical commentary on the fourth gospel. Collegeville, MN: The Liturgical Press, 1984. Sunday was the third time I have taught this term. I was privileged to do the Prologue and had a short notice substitution for the healing of the nobleman's son. (John 4:45-54) This preparation is my first time to have had access to Ellis’s book and some accused me of agreeing to teach just so I could have the book for a week. There is a smidgen of truth in that accusation. a 1993 publication date. Obviously, Dr. Ellis had read Gerhard's work as early as 1984. 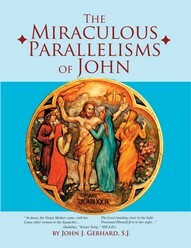 The study of parallelism in the gospel of John and the publication of this book is the culmination of his life’s work. Gerhard’s work was undertaken in support of the objections of Pope Benedict XVI (while he was still Cardinal Ratzinger) to historical-critical exegesis and his rejection of Rudolf’s Bultmann’s The Gospel of John: A Commentary, written in 1941 translated into English in 1971 as the standard reference for Johannine scholarship. In January when the Open Door class began this study, copies of Ellis’s book were rare and expensive but this week I found and ordered reasonably priced ($25-$35) copies of both books. Anyone who is teaching or has a more than devotional interest in reading the gospel of John should have access to either Ellis's or Gerhard's books. The above titles link to Amazon. as a text that is structured by the rules of parallelism. Our primary approach to the gospel in this study has been the third with a bit of historical-critical since our regular teacher is Caleb McDaniel, a historian. We looked at section A with some A’ last week. a new sort of prayer. This section concludes with Jesus' going out to meet "the Prince of this world," (14:31)out into the night, to a cross and later a new life of resurrection. Discipleship requires love to the end. How easy to talk of love; how hard to live it! You shall not take vengeance or bear any grudge against the sons of your own people, but you shall love your neighbor as yourself: I am the LORD. When Jesus offers his new commandment of love, he also announces the fulfillment of Jeremiah 31:31 ff. Bobbie pointed out that at its very heart the new covenant is one of peace. "I will make a covenant of peace with them; it will be a perpetual covenant. I will establish them, increase their numbers, and place my sanctuary among them forever. My dwelling place will be with them forever and then the nations will know I am with them. I will be their God and they will become my people." Ellis offers an alternate translation: “I AM the true way of life...” which echoes 14:6b No one comes but by me and 10:9 the door of the sheepfold. His translation will also support my claim that Jesus’ I AM fulfills and stands in the place of Torah, e.g. Psalm 1 & 2. Traditional Hebrew prayer begins: ‘Baruch atai Adonai…” Blessed be our God. It is offered to the Creator/Ruler of the Universe. Jesus’ prayers, which he instructs his disciples to emulate, begin: “Our Father…” “My Father…” “Father…” It is a far more intimate relationship. 14:10 – 11 but adds "you in me"
Ellis asserts that 17:21-24 affirms that resurrection life is union with the father. Jesus teaches that, in unity with him, the disciples will have a part in the continued working of God and Jesus and that they will in fact do even greater works. These greater works will bear much fruit. This section resonates with that new covenant of peace which allows the nations to know God. The class noted that in this section of Jesus offers a commissioning as powerful as The Great Commission of the synoptic gospels. the central point of the Chiastic structure of this section of the Final Discourse. Jesus’ sending of the Paraclete seals the new covenant, enables the disciples to obey the new commandment, and creates unity which fulfills the commission. Some words should never be translated. My favorite example is of course from the Psalms: "checed" often translated "the steadfast love of the Lord." "Paraclete" is another such word and it appears only in Johannine Literature, here in this passage and in I John. It is not the same word used by other New Testament writers for the Holy Spirit which derives from "pneuma" meaning breath, wind, spirit. John does not use the phrase “Holy Spirit” although he does use “Spirit of Truth.” "Pneuma" has to do with breath and life; it may be that it is a human thing that comes from God. "Paraclete" means “come along side” and in extra-biblical sources (the only ones available to us since this word is unique to John) is primarily used in legal courtroom settings. I heard a sermon once where “defense attorney” was offered as a translation of Paraclete. Here is a link offering more detail about the use of Spirit and Paraclete in Johannine Literature. Ellis and I agree that the best means of teasing out the meaning of the word is looking at what these verses say about the Paraclete. Is “another” like Jesus which makes Jesus a "Paraclete"
I was interrupted in writing this post and never got back to it. I don't think it includes all my study notes. If I find them, I may revise. I post it now only because it's part of a series. It's a holiday weekend and with so many people out of town, I will once again be teaching the Open Door Class at Southwest Central Church of Christ. 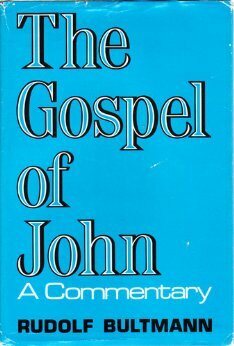 We've been studying the gospel of John making use of a book by Peter Ellis, The Genius of John, A Compositional-Critical Commentary on the Fourth Gospel, 1984. We'll be discussing John 4:46-54, the second sign: Jesus heals the nobleman's son. In Dr. Ellis' chiasmic scheme, the corresponding text is John 9:1 - 10:21: Jesus heals the man born blind. As we have been learning the fourth gospel is a highly structured, non-chronological book. It may be divided into two major sections: The Book of Signs (1:19 - 12:50) and The Book of Glory. The gospel presents 7 Signs, 7 "I AM" statements, 7 discourses, and 7 misunderstood symbols. Some commentaries name walking on the water as the 7th sign; others say that the 7th sign is Jesus' own Resurrection which would correspond with I AM the good shepherd who lays down his life for the sheep. Ignoring these textual debates, it is safe to say that chapters 2-4 are marked as a unit by the Inclusio of "signs" and the location in Cana of Galilee. The section marks the responses to Jesus in Cana of Galilee, in Jerusalem, in Samaria, and again in Cana and Capernaum in Galilee. Key concepts are signs, seeing, and believing. John 1:35 "come and see" "follow me"
John 3 Discourse with Nicodemus, water, Spirit, Jesus testifies to himself, came from God, 3:19 echoes prologue. John 3:22 Judea, baptizing, water, purification, the Baptist testified, "comes from heaven"
John 4:46 back in Cana, a Royal Officer asks Jesus to "come and heal," Jesus will not go with him but he speaks life for the child. Jesus physical presence is not required for the miracle; his spoken word is sufficient. That identifies him as the creating Logos. The officer and his household believe. As Nicodemus represents the Pharisees, the teachers of Israel in Jerusalem and as the Samaritan woman represents all those erring worshippers scorned by the Jews, the Royal Officer or nobleman from Capernaum represents "the house of Herod," secular Israel. All these people "come" to Jesus. The Samaritan woman and her city believe. The nobleman and his household believe. At this point in the story Nicodemus does not and beginning in Chapter 5, the Pharisees and leaders of Israel in Jerusalem will begin an attack the culminates in the Crucifixion.